It was close to 70° today, but a week ago it was a little different. Two small snows in a row made for a little snow playing. 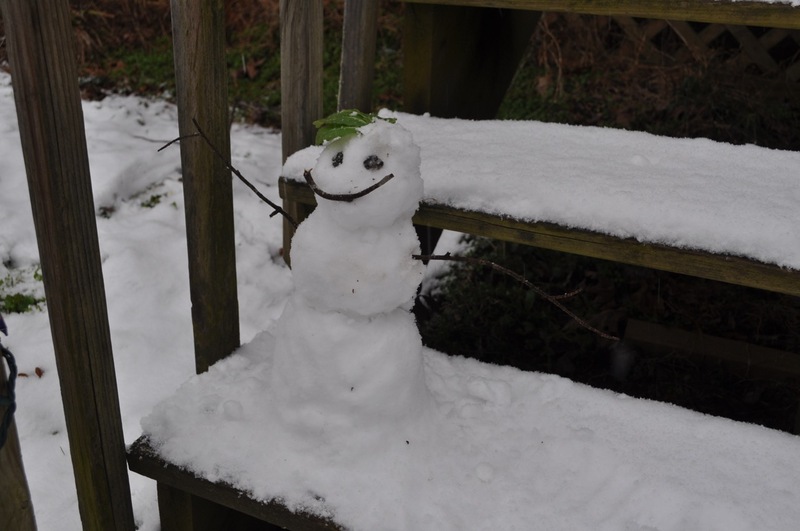 And when you only get a little snow, you can only make a little snow man woman. 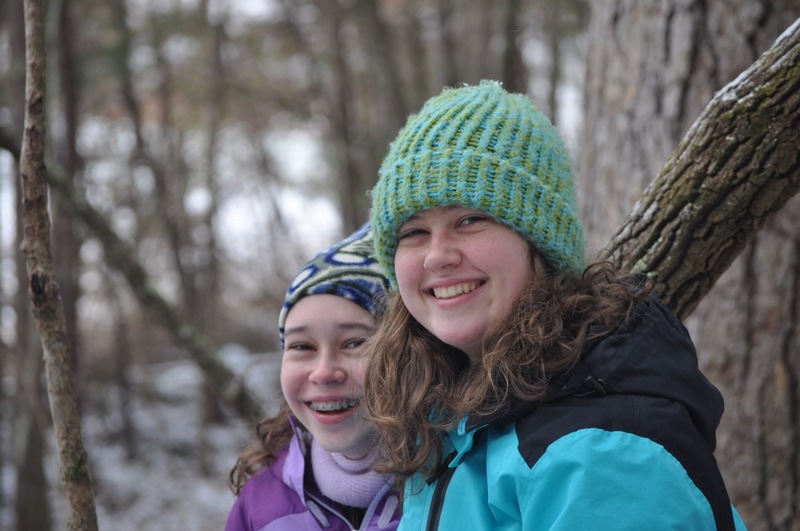 But despite the lack of depth, the girls enjoyed some time outside. We were just on the edge of a lot more: just east of here they got almost a foot. 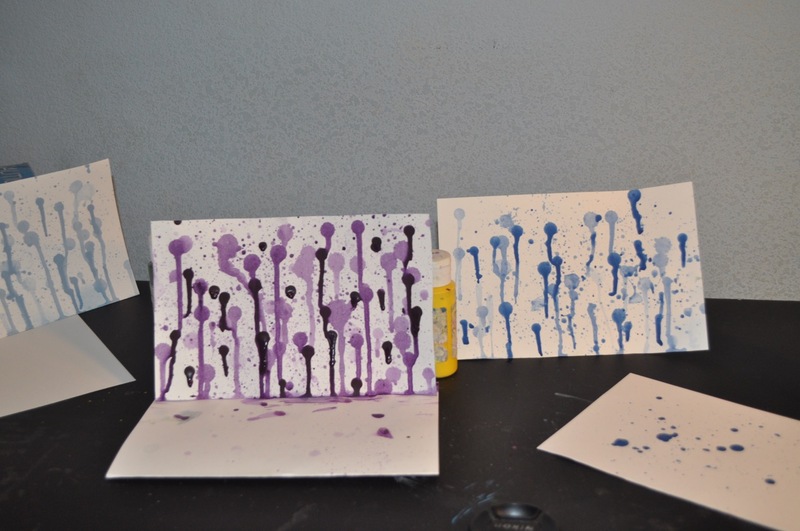 The girls have also had the paints out, experimenting with drips and splatters. A couple of weeks ago, our sign blew down at church in some high winds. For a few days we were the Wellness Studio, as that was the name of the business before we moved into the building. We got that sign down and are in the process of getting a new one. So for now we are nameless, but that gives us a chance to get a bigger sign and change the lettering a little. We are all in the thick of school. Lauren has her first debate of the semester tomorrow. And we are in that part of biology where we are cutting open dead animals: a worm and a crayfish so far. A frog and sheep heart are on the agenda. Rebekah competes in science fair next Tuesday and has mock trial coming up later in the spring where they are competing against another group from Asheville. Lauren is taking a college visit next Friday to Lee University. She really has no intention of attending school there, but some friends are going, so she is going along for the experience. We have to start deciding where to visit in earnest pretty soon. The spring will sneak away if we don’t. Blue Bell has finally made it to NC! This entry was posted in Church, Classical Conversations, College, Crafts, Food, Seasons, Snow, Weather. Bookmark the permalink. We still have a LOT of snow here!! Blue Bell-lucky ducks!! I imagine y’all do. What was the total?